The crime fiction and crime blogging communities were dismayed recently to hear of the death of Leighton Gage, whose 7th novel featuring Chief Inspector Mario Silva of the Brazilian Federal Police, The Ways of Evil Men, is to be published by SoHo Press early in 2014. The final novel in the series is a fitting climax to Gage's late-blooming crime writing career, focusing onece again on a pernicious social evil (more than one, actually) as well as the lives of the policemen and civilians involved in a crime and its consequences. The story begins with the almost complete annihilation of an indigenous tribe in the Brazilian jungle: only a hunter and h is son, away from the village at the time of the genocide, survive. Jade, a young woman who is the local agent of the agency tasked with the protection of the indigenous peoples (FUNAI) attempts to bring the murders to the attention of the police but no one in the remote town or its provincial city is interested in the deaths of "some Indians." Through a personal connection, she enlists the help of the Federal Police, and Silva and his crew travel, reluctantly at first, to the town closest to the site of the killings. Gage brings attention to several issues in his story: the survival of the tribal peoples (some still not contacted by civilization), rampant racism, and ecological devastation at the hands of loggers, ranchers, and gold miners in the Amazonian jungle; not to mention one of the persistent themes of the series, the corruption among the law enforcement agencies that should be engaged with these issues as well as with ordinary crime. The novel is populated with a rich assortment of characters from Silva's team as well as the town, including rapacious ranchers and their hangers-on (a whisky priest, the mayor, and others), and a rich vein of the story comes from the sexual and violent relations among those characters. This book is one of Gage's most vivid in its dialogue, setting, and characterization (though all of the above can be pretty unpleasant at times, particularly in a graphic explanation of death by hanging in all its forms). The story also loops back in a hopeful but not resolved manner to the back story emphasized in the first Silva novel, dealing with the grief of the Inspector and his wife over the death of their young son (especially important in the very different ways in which they deal with their grief). In the larger, social story and in the more personal aspects of the tale, there is a glimmer of a hope that Gage has not always offered in his grim portraits of contemporary Brazil. And as always, Silva draws together the several strands of his tale (the slaughter of the tribe, the murder of a local citizen and the lynching that follows, the brutality of one character toward his wife, a blooming love affair for one of the cops) with a moral rather than a legal rigor. Silva is the conscience of the series, and the imagined conscience of a troubled country. 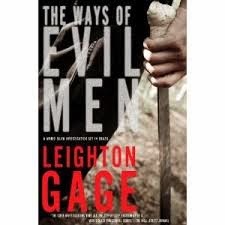 The Ways of Evil Men is a final gift from Leighton to his readers (both the novels and his on-line writing) and to those of us privileged to have met him in person. 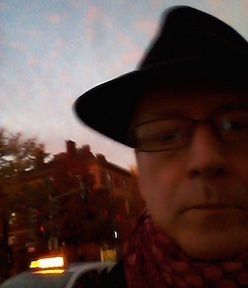 His voice, his portrayal of vital fictional characters and stories, his outrage at injustices in Brazil and beyond, and his lively participation in the on-line crime fiction community will remain as his testament.